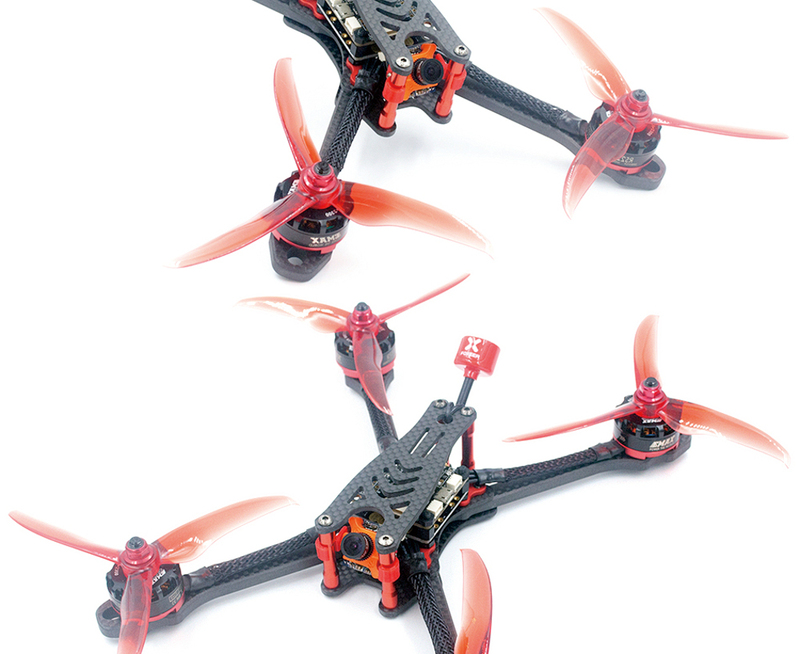 Flight Controller: Tower System/Kiss/F4/F3/Naze32/CC3D(Hole distance:30.5*30.5mm). 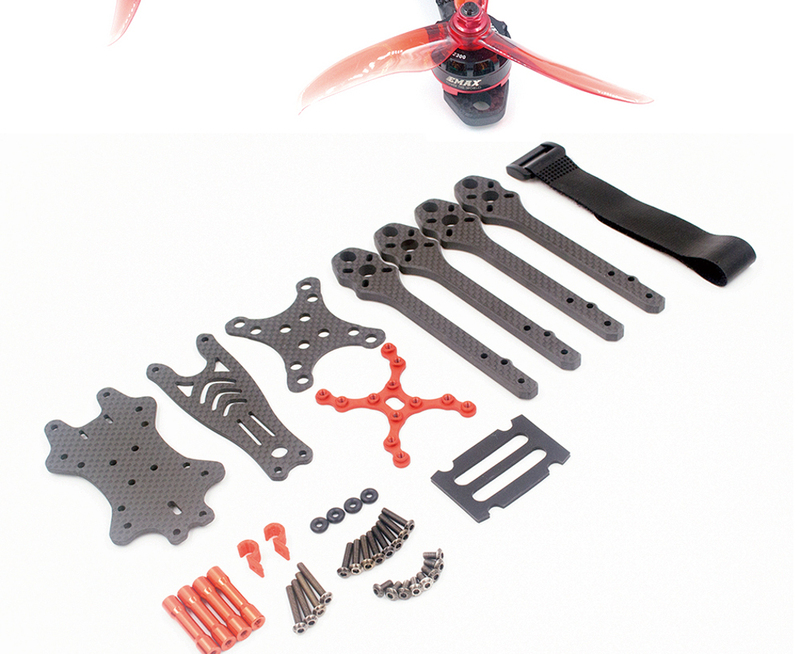 6MM independent arm, fast demolition, unique design virtual bit less. 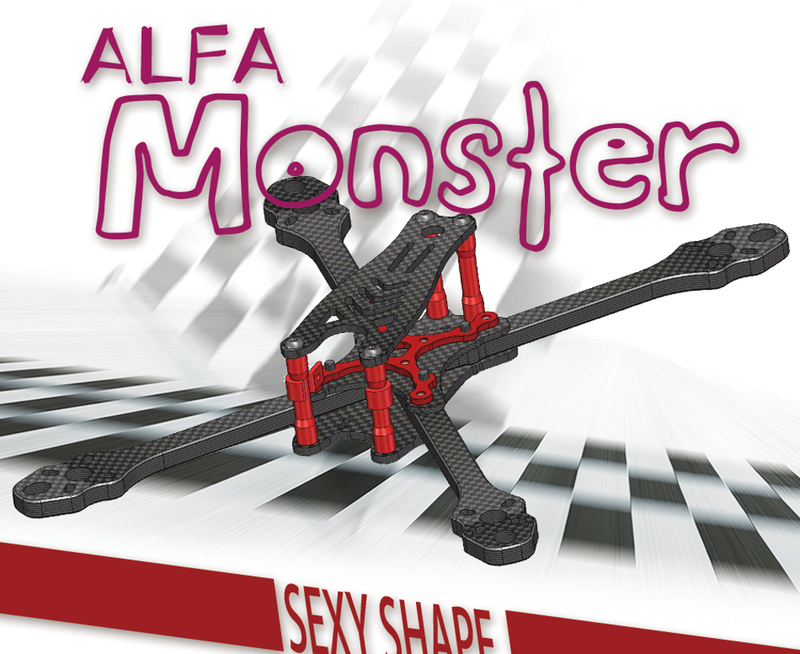 The position of the motor compartment is widened and the collision is not easy to hit the motor. 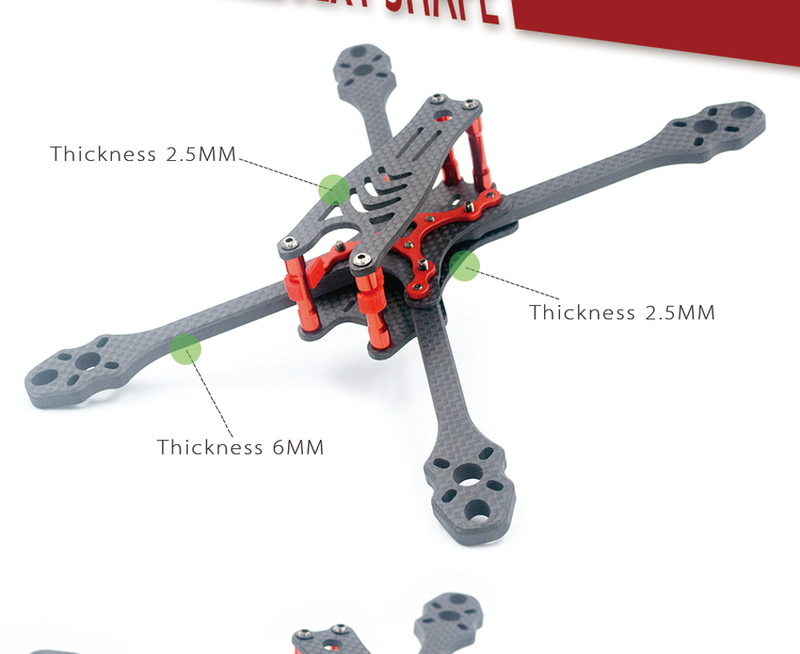 According to individual needs, can choose the frame assembly of battery on or under. 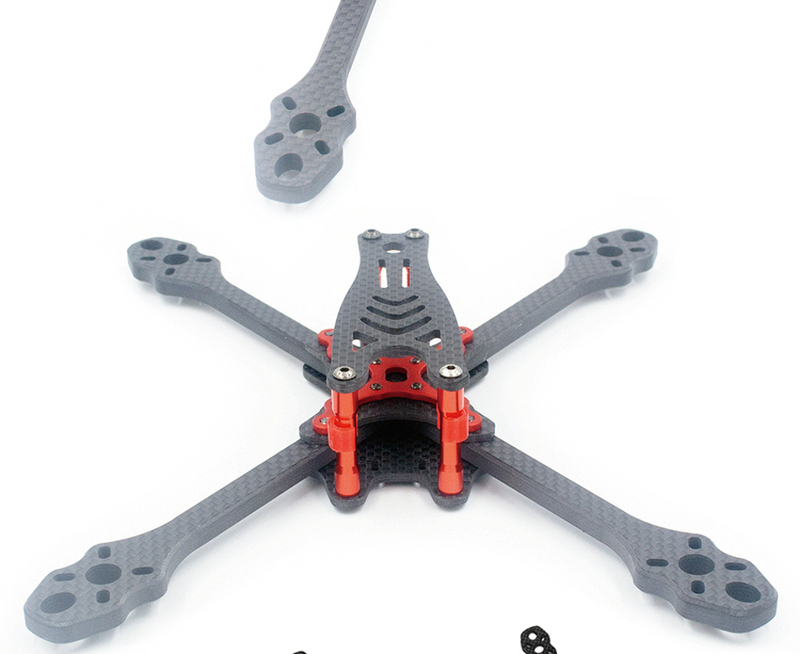 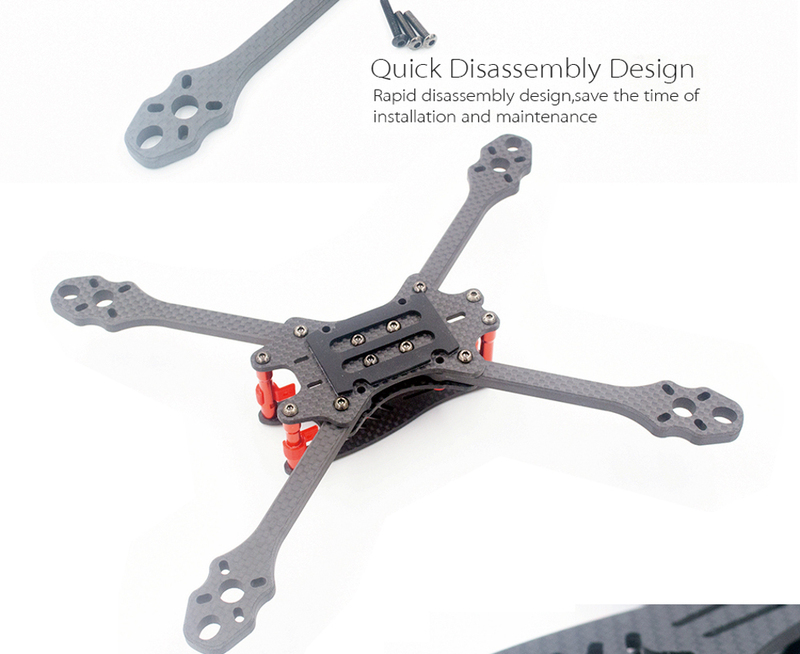 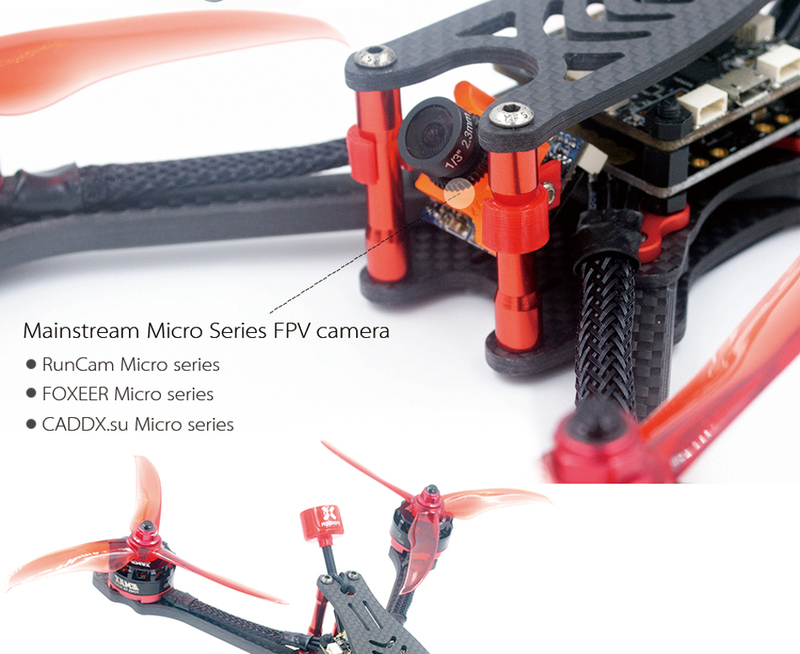 support RunCam Micro series FOXEER Micro series CADDX.US Micro series……and other FPV camera.